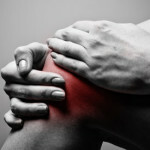 Strong stabilizers are key in joint health and stability. According to the Access to America’s Orthopedic Services (AAOA) Act of 2011, annual direct and indirect costs for musculoskeletal diseases and conditions total over $849 billion. The lack of endurance in the spine and lumbo pelvic stabilizers, can lead to common chronic musculoskeletal conditions such as low back pain. In today’s society, mobility and stability are diminishing due to sedentary work and inactive lifestyles. Sitting for long periods of time leads to weakening of the spinal stabilizers. I watch and listen as many gym goers, boot campers, and personal trained clients get exited about their “tough abs class” or “rough core workout” in attempt to combat “core” weakness. 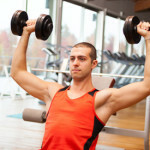 Many of the common methods used to “build core strength”, as the instructor would say, may be causing more damage than good. 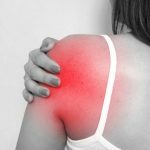 Stewart McGill (one of the world’s leading researchers in spinal stability) outlines proper spinal stability techniques in his article “McGill, S. M. (2001). Low Back Stability: From Formal Description to Issues for Performance and Rehabilitation. Exercise and Sport Science Reviews. 29, 26-31”. Many low back injuries seem to occur from simple task (i.e. picking up a box out of the floor or riding in a car or airplane for long periods of time). 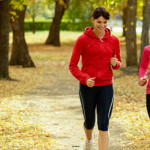 Research shows simple task and strenuous exercise activities (i.e. deadlifting and other Olympic lifting) may result in ‘buckling’ (slight rotation of a spinal segment) (McGill 2001). Additionally, research shows that most back injuries are cumulative rather than acute accidents due to chronic spine ‘buckling’ (McGill 2001). Computerized analysis of this phenomenon suggests that there is a momentary reduction in neural activation to one or more of the deep intervertebral muscles, resulting in this spinal segmental ‘buckling’, leading to tissue irritation or injury. Therefore, the musculature must be trained to “stiffen the spine against buckling” (McGill, 2001). The most effective training for the spinal flexors involves muscular endurance. McGill concludes “the safest and mechanically most justifiable approach to enhancing lumbar stability through exercise entails a philosophical approach consistent with endurance, not strength; that ensures a neutral spine posture when under load (or more specifically avoids end range positions) and that encourages abdominal muscle co-contraction and bracing in a functional way.” Bracing is a neurophysiological phenomenon involving co-contraction of the abdominal wall and deep intrinsic muscles of the spine in an effort to better stabilize the low back. McGill instructed when training for spinal stability, you should not include sit-up exercises with bent and straight legs due to the high psoas activation and compressive loads on the low back. Leg raises also cause a great deal of psoas activation and spine compression. Additionally, front lying (prone) upper torso (or leg) lifts off the floor may not be safely indicated for persons with low back pain. Dr. McGill noted safe and effective exercises for the quadratus lumborum, rectus abdominis, obliques, longissimus, iliocostalis, mutifidus muscles, and transverse abdominis training to outline a path for spinal stability. McGill recommends the horizontal isometric side bridge which can be done from a knee supporting position on the floor or a more challenging version which utilizes a feet supported version for the quadratus lumbourum. The “Bird-Dog” exercise adequately engages the longissimus, iliocostalis, and mutifidus (back extensor) muscles of the spine. The “bird dog” reduces the stress to the spinal segments while recruiting the back extensors. McGill also recommends curl-ups (or crunches) for the rectus abdominis (“six pack” area) and obliques in conjuction with the quadratus lumborum exercises. 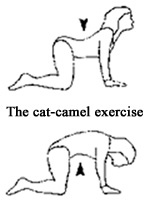 Begin your low back stability exercise sessions with about six flexion-extension cycles of the “cat-camel” exercise. The “cat-camel” is a mobility exercise to reduce any present stresses on the spine. Before going to the “abs class” or trying out new exiting ab exercises, become a spectator first. Then, draw a conclusion of if the exercises are effective with the guidelines from Dr. McGill or high risk. If you read the “how to” books on “great abs”, you will find that 80-90% of each book is on nutrition. When wanting a great “core”, think stable. Phillip Godfrey, MES PFT, is a Healthways Network Provider, Certified Medical Exercise Specialist, and Personal Fitness Trainer. Phillip has programmed for a wide range of clientele. Among the list are athletes, international sports teams, and people with weight loss needs, hypertension, diabetes, pregnancy, post rehab for injuries, and other medical conditions. This is REALLY helpful info! I just had what I’m certain is an episode of “acute spinal buckling” after bending over last night, and have a heating pad on right now for the continued pain. As soon as it eases up, I’ll start trying some of these exercises! I’ve bookmarked the page. Thank you!!! Make sure that the pain subsides first! Glad to help.